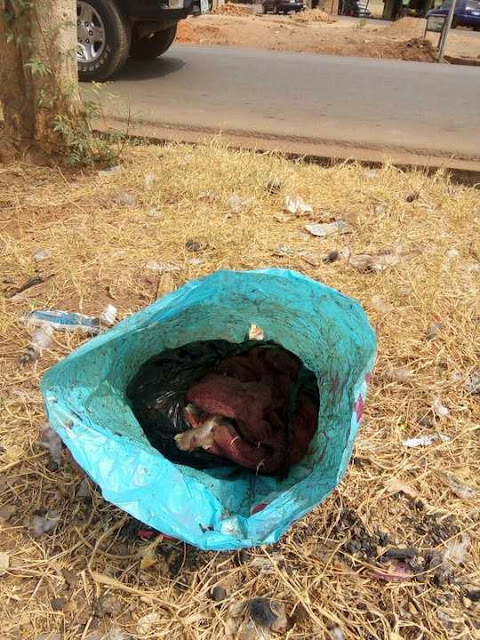 According to An eyewitness Who sent in the story and also pleaded anonymity said a lady aborted her baby and put it inside leather and dropped it at d back of her house somewhere around Inikpi street in Makurdi. It is worthy of notice that the rate at which our ladies are dumping foetus and even a already born child is becoming alarming in the society. ladies could be so heartless to get pregnant and end up aborting the baby when its already so full of life.